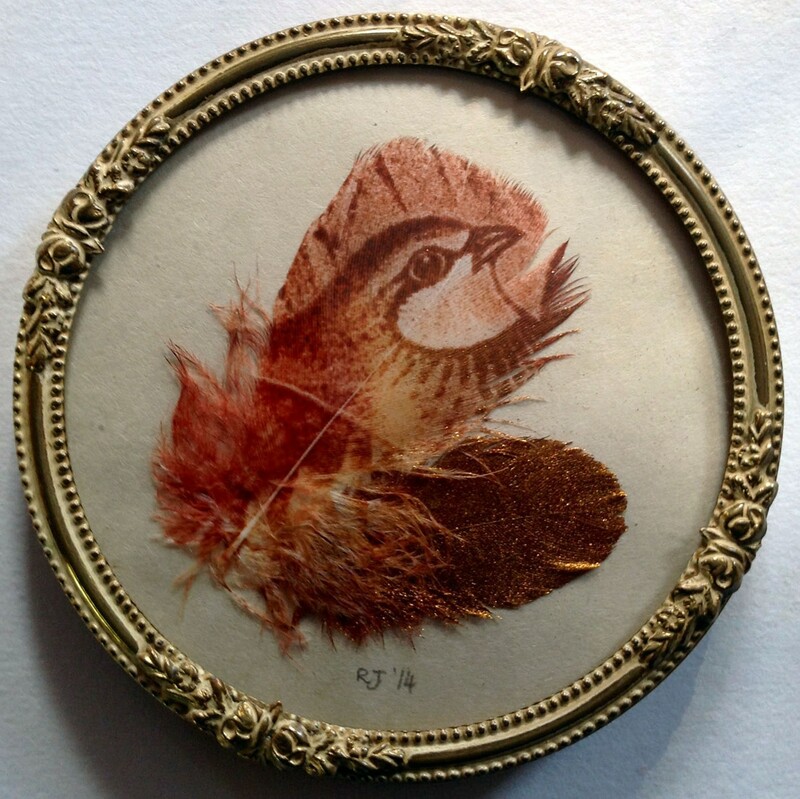 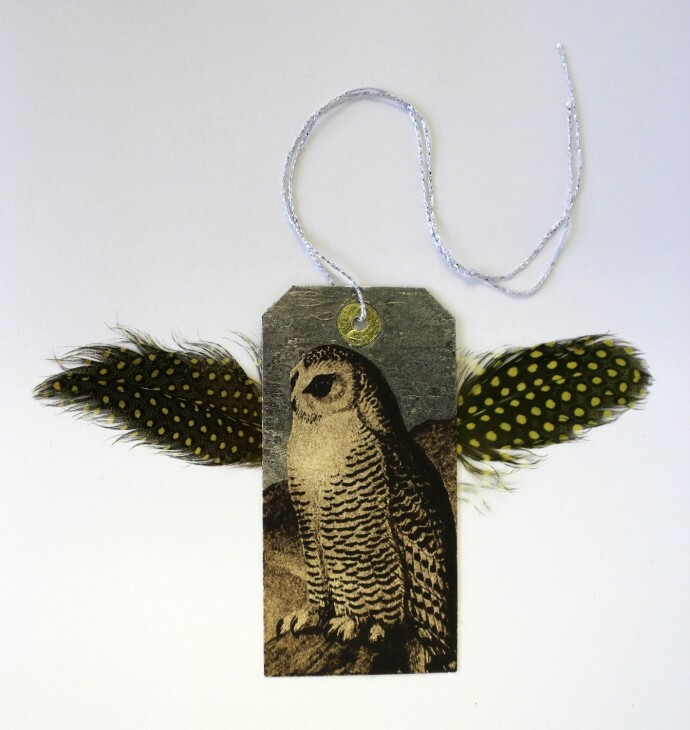 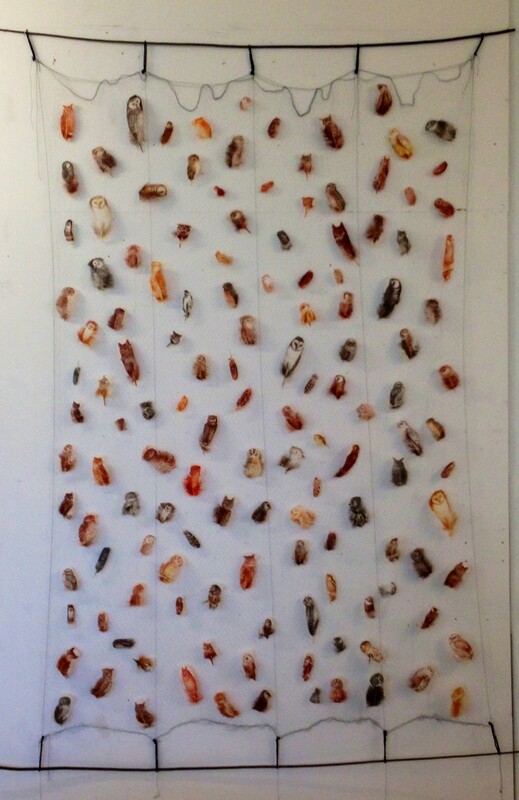 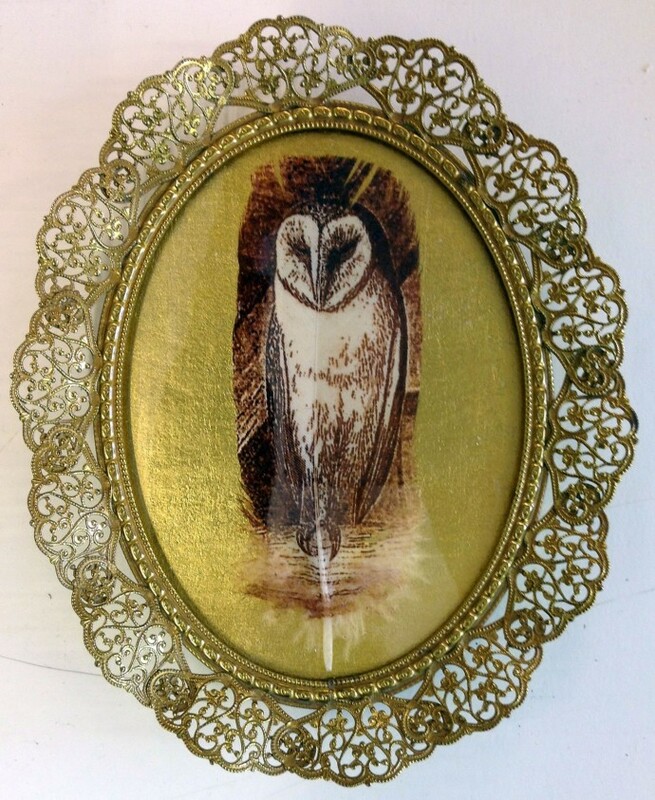 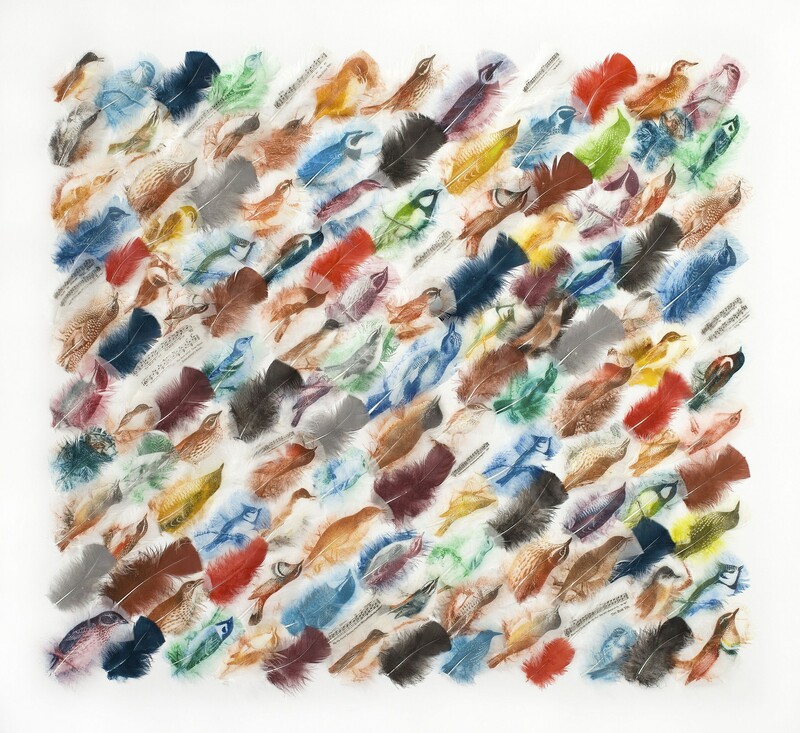 Rebecca Hossack Gallery is pleased to announce From Nests to Nets an exhibition of new work by British artist Rebecca Jewell, whose passion for studying and cataloguing birds and feathers continues in her latest body of work. 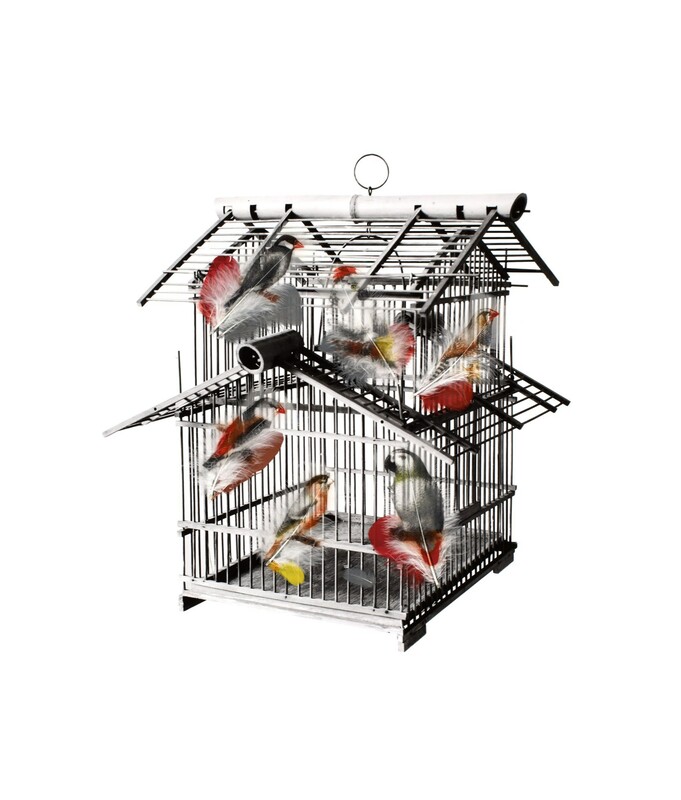 In the exhibition, From Nests to Nets, Jewell shines a light on contemporary methods of bird capture such as mist-nets, audio recordings of bird sounds as well as historical methods of caging and trapping. 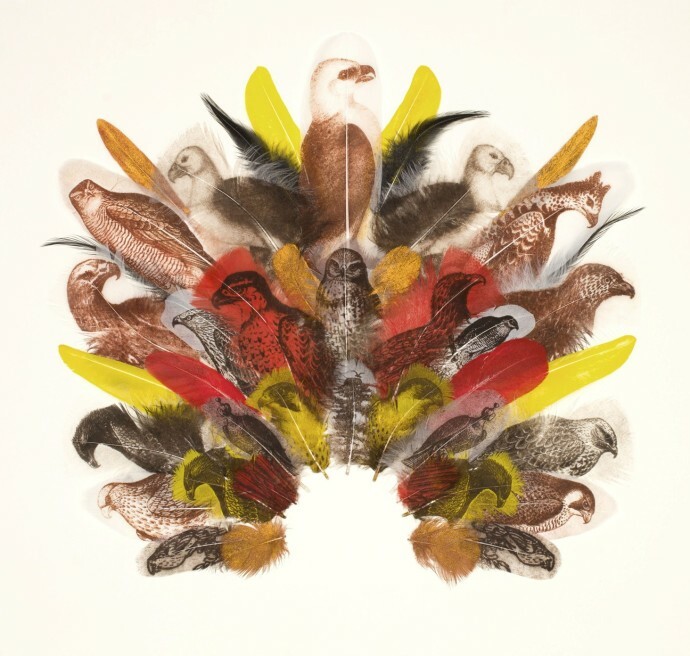 American author Jonathan Franzen writes in the forward to Jewell's exhibition brochure "...unless laws are changed and enforcement seriously increased, we are in the age, right now, when bird life may well dwindle to a sterile monoculture of crows and pigeons." 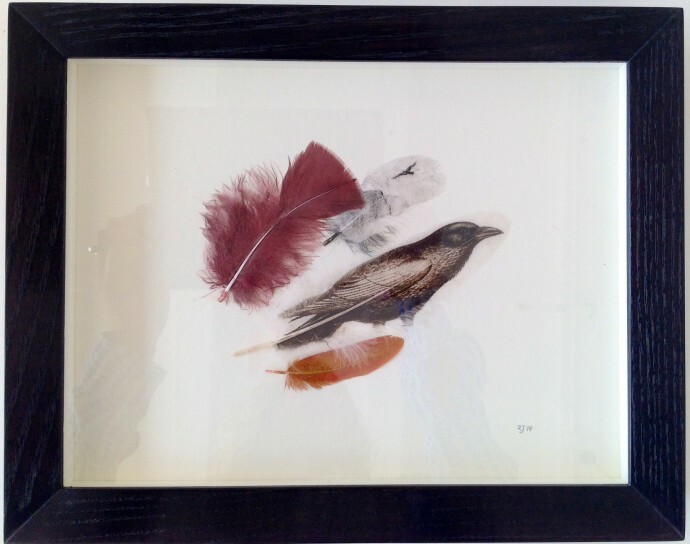 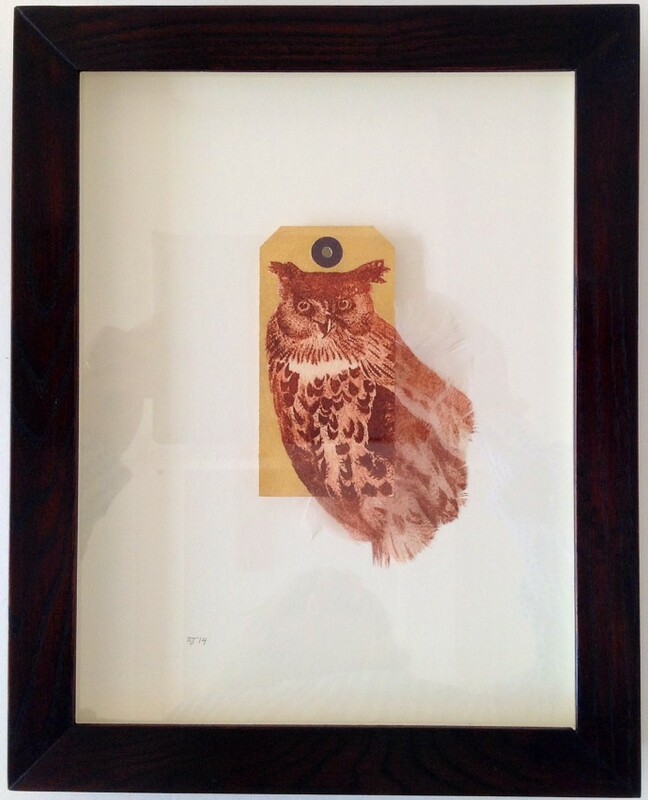 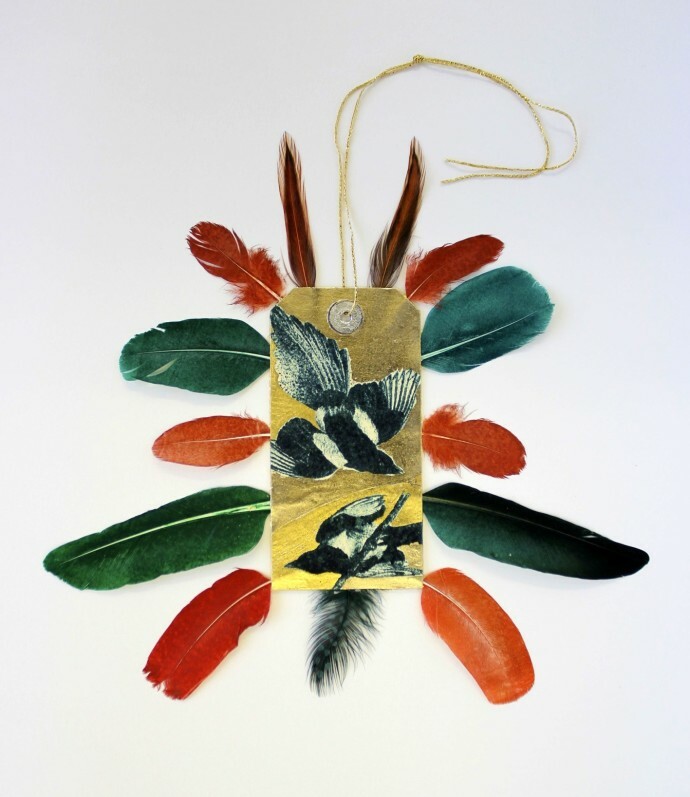 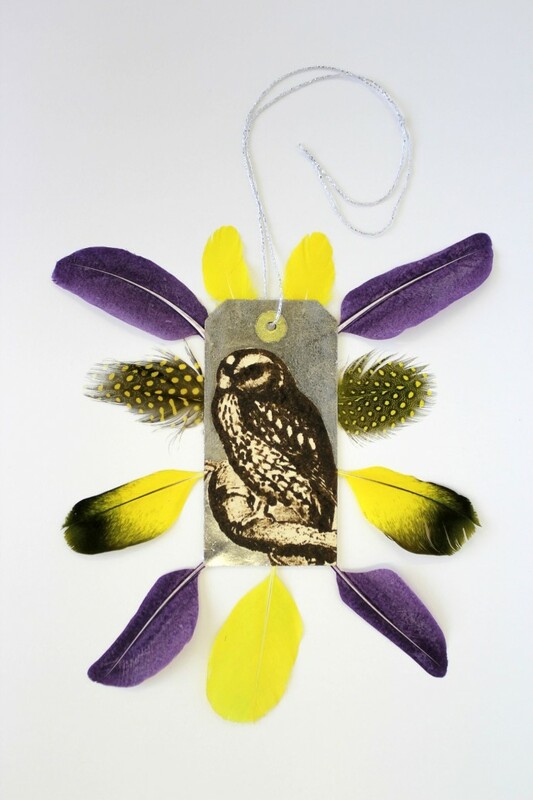 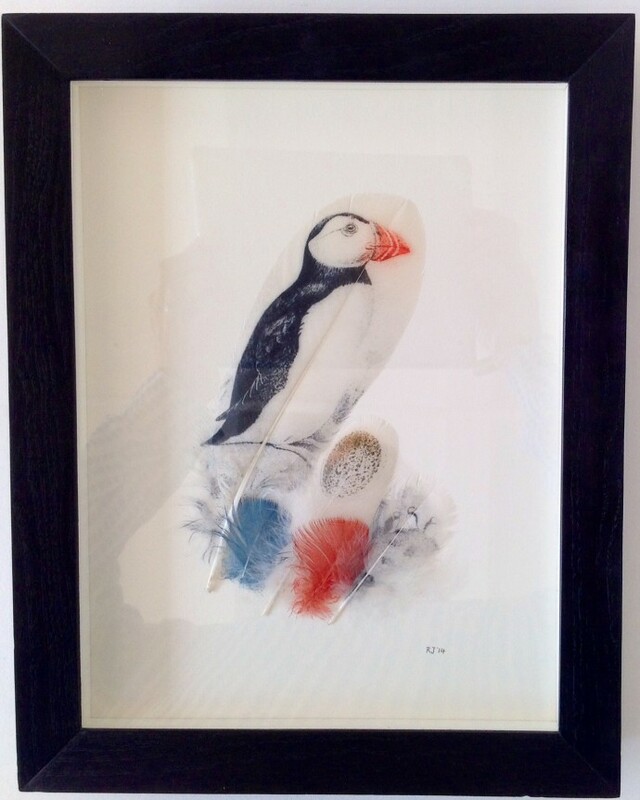 As seen in her previous works, Jewell visualizes this fragility of wild birds by using feathers as her chosen medium for printing, collage and illustration - the feathers used are from domestic birds and "found" moulted feathers. The delicate nature of her work highlights the vulnerability of her subject matter. 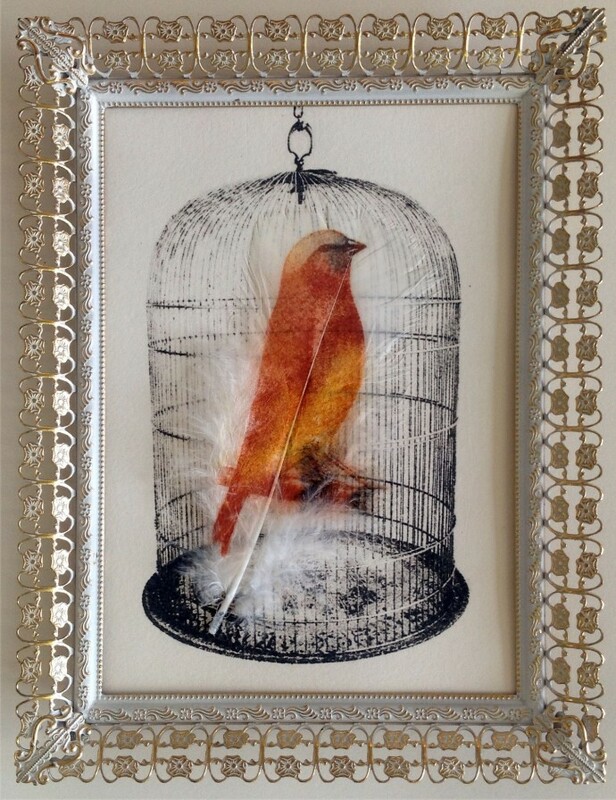 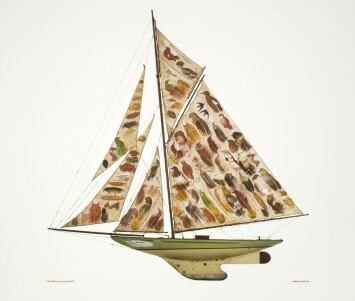 Her piece Martha pays tribute to the passenger pigeon, once one of the most ubiquitous birds in America. 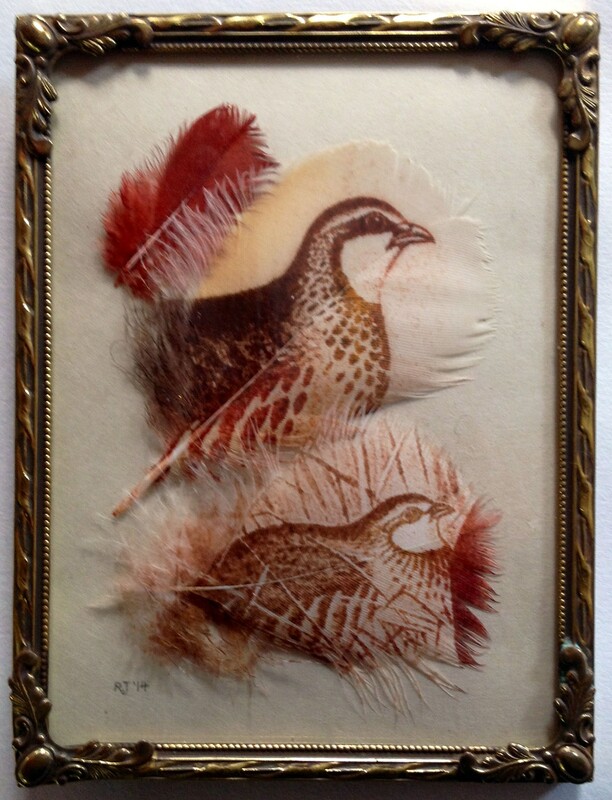 This year marks the centenary of the passenger pigeon's extinction. Through her work and its context within the world of historical classification and institution, Jewell balances an objective opinion towards the capturing of birds: condemning mass capture leading to extinction while also supporting and giving reason to scientific preservation and study.